It's the first of December which means I opened the first door to my Percy Pig advent calender, it's the first day of Blogmas and 24 days until Christmas! I have not felt festive until today and I really hope I can keep up with blogging everyday - lets do this! 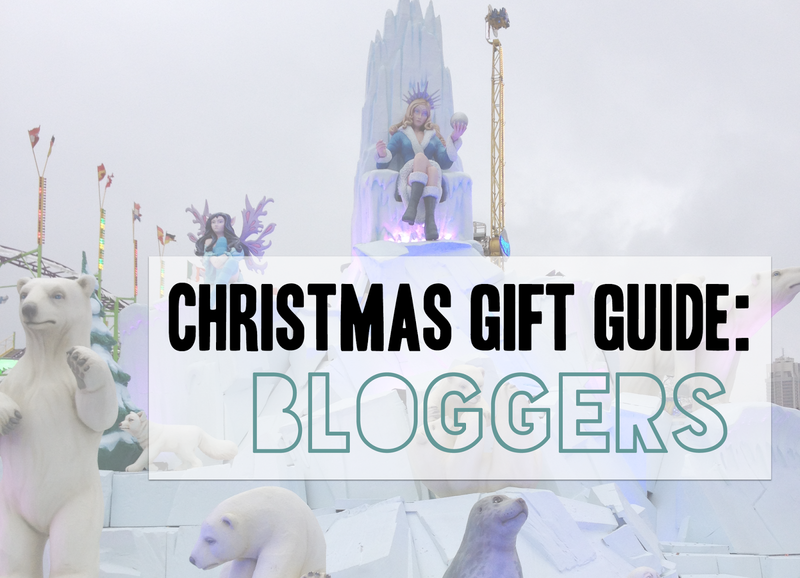 To start off the month, I have created a gift guide for bloggers. 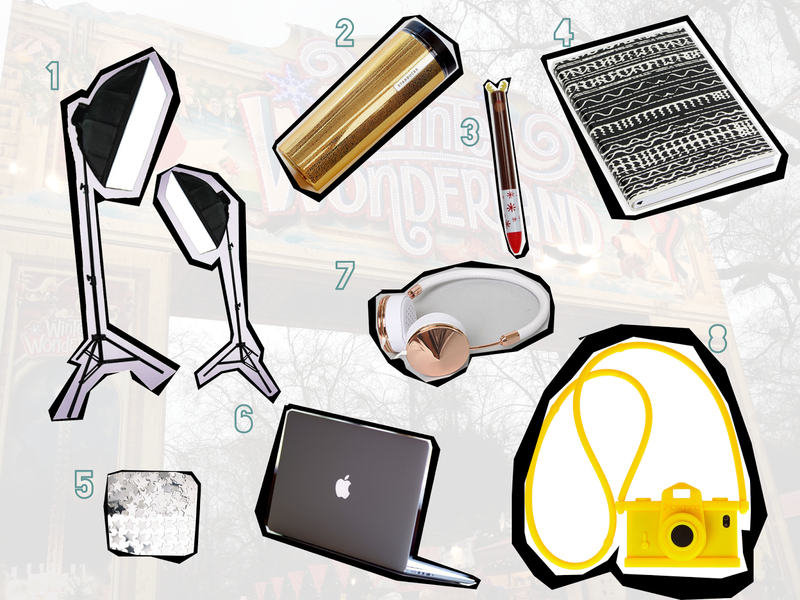 Although, we are the ones writing the gift guides, we'd love some pressies too! Use this guide to give yourself some inspiration for any friends you have who are bloggers, a family member or maybe you could send this to your parents to help them a bit! 1 // Photo Studio Soft Box Lighting - So you can take photographs with perfect lighting at any time of day and you don't have to rush before the sun goes down! 2 // Starbucks Tumbler - For drinking coffee on the go, we all love hot drinks! 3 // Reindeer Pen - A cute pen for writing lists and ideas. 4 // Wavy Aztec Glitter Notebook - Paperchase have the best notebooks for writing down blog ideas, events and wish lists! 5 // Star Confetti - These are perfect for photo props! 6 // Mac Book Pro - Do I need to explain? We all want a MacBook! 7 // Frends Layla Rose Gold Headphones - These are the prettiest headphones I have ever seen! Perfect for looking fashionable and listening to music whilst you write blog posts or listening to your own voice whilst you edit your next YouTube video! 8 // Moschino Camera iPhone 5 Case - All bloggers use their phones! For tweeting in the bloggers chat, quick posts, instagram pictures - a designer case would be great, thanks! Omg yes - especially to the Mac Book!